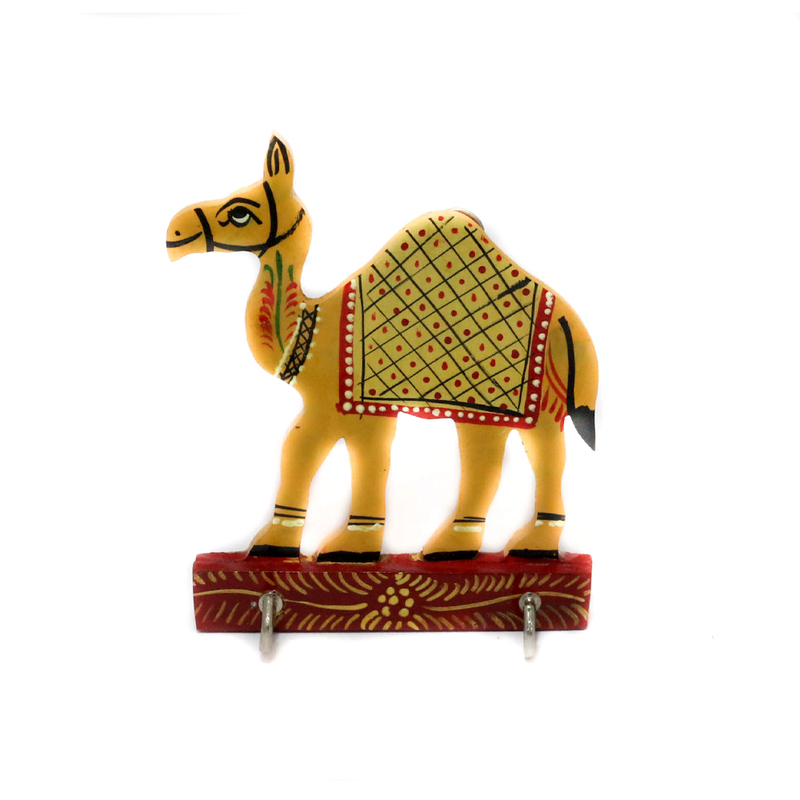 this camel key holder is a product that carries the intricate flavor of the Rajputs in India. It has an appearance that resembles an epoch Read More..of royalty and honor. This camel is yellow in colour with colourful creations on its back. It has two hooks at the bottom end for holding keys. Show Less..